For both current and prospective residents, feeling at home is one of the most important factors in choosing an apartment community. Creating unique events and offering a variety of opportunities to socialize with neighbors are some of the best ways to create a sense of unity for residents. 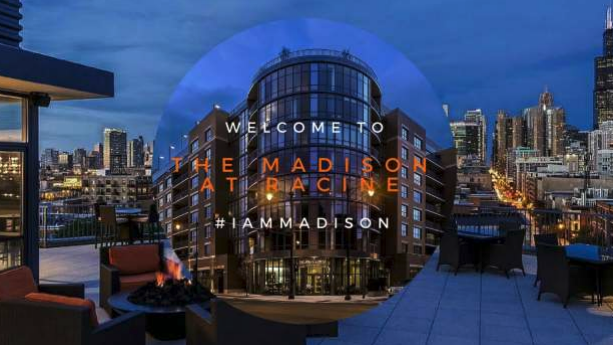 At The Madison at Racine in Chicago, IL, they have created a wonderful resident relations and retention program called “I Am Madison” to ensure their neighbors want to renew their lease year after year. Here are a few ways the team at The Madison at Racine make the resident experience special. Resident Events: From fun and educational classes to sports viewing parties, throwing events that cater to a wide variety of interests encourages residents to socialize and show them how appreciated they are! The Madison at Racine has thrown a variety of events, such as a sushi-making class, a pet “yappy” hour, and a Halloween costume party. Put your clubhouse or patio to good use and bring neighbors together with an unforgettable get-together! Pet Perks: Not only are residents a huge part of a community, but their pets are too! A designated area or dog park to run around is a great way for pets to experience the freedom similar to a backyard. Pets at The Madison at Racine also receive monthly treatments from Baroo Pet Care, such as complimentary nail trimmings and dog washes. A great way to welcome a dog home after a walk with their owner is a treat at the front desk! Special Discounts: The “I Am Madison” program also provides residents with special discounts at local businesses, such as at a cycling studio or nearby restaurant. Also, the program offers specials and discounts to prominent companies in the area. This gives residents a VIP feel, as well as helping them feel a sense of community by living near co-workers. Responsive Staff: Customer service is one of the most important parts of resident retention. The maintenance and engineering staff go above and beyond to complete service requests, as well as following up to make sure everything is working perfectly. Another way to build great relationships with residents is to have a front desk staff that warmly greets everyone who enters the building. Thanks to the “I Am Madison” program, The Madison at Racine has achieved extremely high retention rates, averaging above 60%. If you’re looking for tips on how to boost the resident experience in your apartment community, contact us today!